Fire Prevention for Businesses - Scarsdale Premier Insurance Agency | Advocate Brokerage Corp.
Each October the National Fire Protection Association sets aside the month to promote fire safety. In a blog earlier this week we’ve talked about preventing fires at home and the importance of Smoke Detectors. In today’s blog we have decided to focus on businesses and the things they can do to keep their employees and their property safe! Create a safety plan that includes evacuation guidelines and designated fire exits. Be sure you take into consideration people with disabilities. Be sure all staff members are aware of the safety plan and post signs so that any visitors are also aware. Employees on how to use fire safety equipment such as fire extinguishers and fire alarms. Assign specific jobs to specific employees with back-ups in place so that in the event of an emergency everyone knows who is in charge of what. Schedule and execute fire drills on a regular basis. Be sure clutter is kept to a minimum especially in hallways near designated exits. Educate employees on fire hazards such as overloaded electrical outlets and excess clutter around heat-producing equipment. Looking for more information? 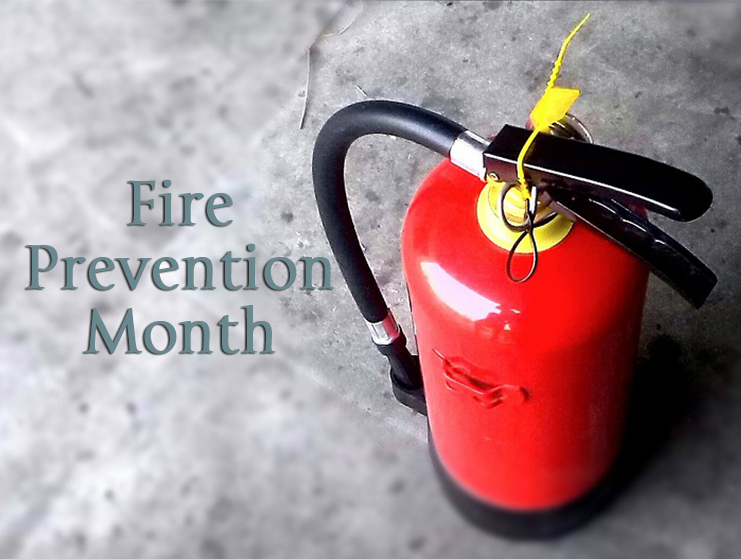 Our page has been sharing important information on fire prevention and fire safety and will continue to do so all month long. Be sure to check it out!